On November 8, 1994, the Christmas compilation album Navidad en las Américas was released through Walt Disney Records. Translated as “Christmas in the Americas,” the album features several popular Latin American artists singing their renditions of popular Christmas songs, ranging from “Noche de paz” to “Jingle Bell Rock.” Artists on the album include Tito Puente, Placido Domingo, and Ricky Martin. Posted in Uncategorized and tagged 1990s, Christmas, Compilation, Music, Walt Disney Records. Bookmark the permalink. 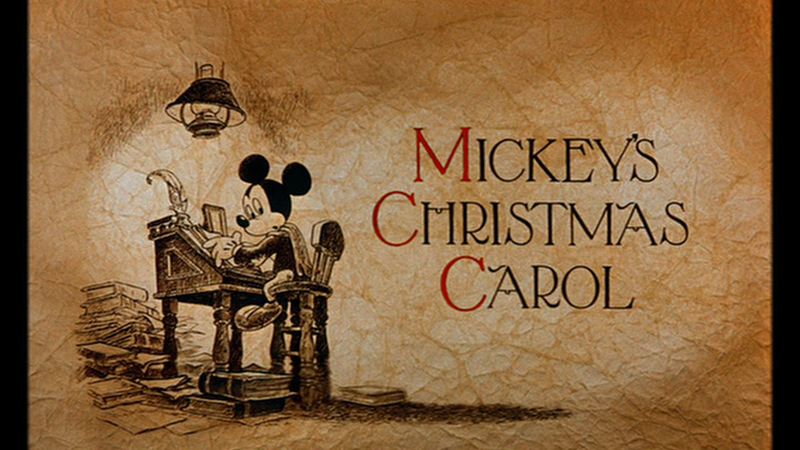 On October 20, 1983, the special Mickey Mouse featurette Mickey’s Christmas Carol premiered in England. The featurette was Mickey’s first film appearance since the 1953’s short film The Simple Things. This British premiere had the featurette paired with a re-release of the animated feature film The Jungle Book. It was based on the book A Christmas Carol by Charles Dickens, and would go on to be nominated for an Academy Award for Best Short Film. The short was written by Burny Mattinson, Tony L. Marino, Ed Gombert, Don Griffith, Alan Young, and Alan Dinehart; it was directed by Mattinson. The featurette starred Alan Young as Scrooge, Wayne Allwine as Mickey Mouse, Clarence Nash as Donald, Hal Smith as Goofy, Eddie Carroll as Jiminy Cricket, and Will Ryan as Willie the Giant and Pete. Posted in Uncategorized and tagged 1980s, Christmas, Color, Donald Duck, Featurette, Mickey Mouse, Short film. Bookmark the permalink. 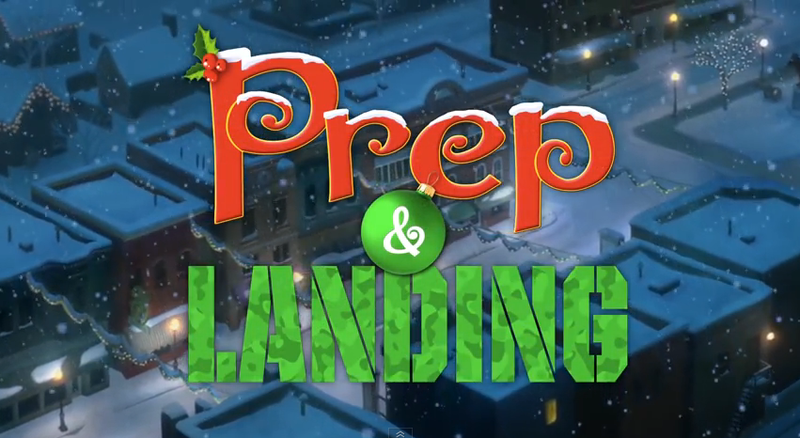 On December 8, 2009, the animated Christmas special Prep & Landing premiered on ABC. It was based on a story idea by director Chris Williams, who would go on to direct Bolt. The short met positive reviews, and ended up winning an Emmy Award for Outstanding Animated Program. The short was written and directed by Kevin Deters and Stevie Wermers-Skelton. It starred Dave Foley as Wayne, Derek Richardson as Lanny, Sarah Chalke as Magee, and W. Morgan Sheppard as Santa. The story begins on Christmas Eve, where two elves are preparing a living room for Christmas day festivities, using special night-vision googles and other technical devices to ensure everything is perfect for when Santa arrives. The elves, named Wayne and Peterson, are part of the Prep and Landing team. Wayne has been doing this for a long, long time, and he’s ready for a change: a promotion to Director of Naughty List Intelligence, to be exact. Unfortunately, he didn’t get the promotion, but his old partner got it. He tries to put on a brave face when told the news, but he is actually rather hurt that his partner got noticed over him. Wayne then gets a new partner named Lanny, whose cheerful disposition is not exactly comforting to Wayne. As the pair head out to start Prep and Landing work, they meet Thrasher, cousin to reindeer Dasher, and Thrasher threatens Lanny, as he prefers to be thought of as a myth. The elves are let out over their first stop, and as Wayne doesn’t wish to do his job anymore, he convinces Lanny to do the job himself while he lounges in the living room. Poor Lanny continues to make one mistake after another, and Wayne doesn’t notice that the kid in the house has woken up. The kid takes Wayne’s picture, and all Wayne can do is stare. Meanwhile, back at the North Pole, Santa has just left the building, ready to deliver presents all over the world. In the house, the boy named Timmy, grabs Wayne and asks questions until Lanny is able to stun Timmy and put him to sleep. 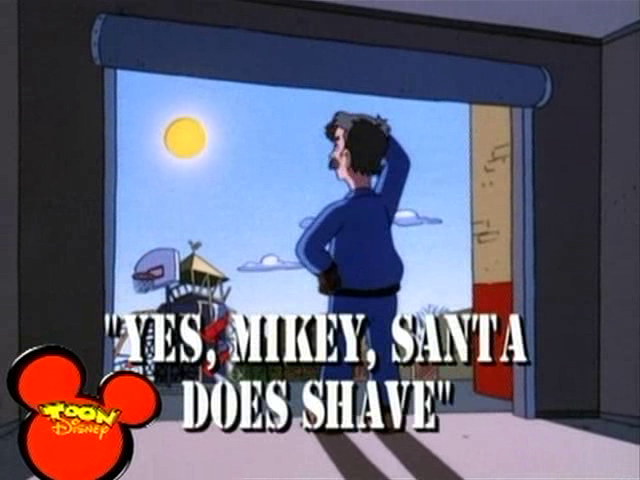 Wayne decides they should just head out, but Lanny points out that protocol says that all children need to be “snug in their beds.” As they carry Timmy back to his room, Lanny asks Wayne if something’s wrong. Wayne answers that he’s been working Prep and Landing for 227 years, and he can’t find the joy in it anymore. When Wayne continues to act sour, Lanny sadly admits that he thought Wayne was the Prep and Landing guy, but Wayne is just a lump of coal. Things get worse when Magee, the North Pole Christmas Eve Command Center Coordinator, finds out that the pair aren’t ready for Santa’s arrival, and initiates plan “Figgy Pudding,” eliciting a gasp from others in the NPCECC. This means that Timmy’s house is skipped for Christmas. When Wayne finds out that Timmy is being skipped, he realizes that it’s all his fault, and is even more upset when Timmy thanks Wayne in his sleep. Wishing to make it right, Wayne is patched through to Santa, and convinces Santa to turn back around. He and Lanny then head to the roof to set up the roof, but they lose their landing lights. They head to a nearby neighbor’s light display, and rig it to mark the way for Santa. 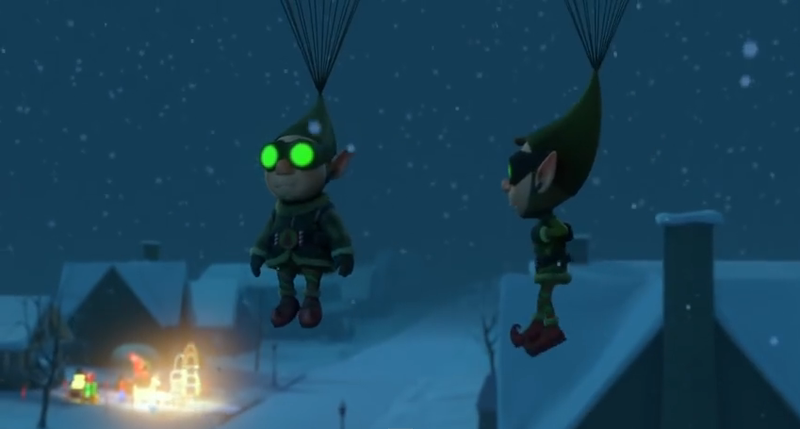 The two manage to work together to create a safe landing for Santa, saving Christmas. The next day, Wayne goes to visit Santa to apologize for what had happened. Santa then gives Wayne a present to see how well Timmy is doing on Christmas. As he leaves Santa’s office, he tells Lanny that he was granted a promotion to Director of the Nice List, but turned it down to stay in Prep and Landing with Lanny. Posted in Uncategorized and tagged 2000s, ABC, Christmas, Color, Emmy Award Nominated, Emmy Award Winning, Short film, Special, Television. Bookmark the permalink. On December 25, 1983, the Walt Disney World Very Merry Christmas Parade was first broadcast on ABC, and has aired annually since then. The first hosts of the 90 minute special were journalist Joan Lunden and entertainer Mike Douglas (who was also known as the singing voice of Prince Charming in 1950’s Cinderella). The parade was broadcast live from Walt Disney World, and would continue to be a live broadcast until the 90s, when the parade was filmed at least a month beforehand to be ready to broadcast on Christmas Day. Posted in Uncategorized and tagged 1980s, Christmas, Disney Park, Parade. Bookmark the permalink. On December 11, 1992, the live-action feature film The Muppet Christmas Carol was released to theaters. It was the first Muppet film to be released after the deaths of creator Jim Henson and puppeteer Richard Hunt (it was released in their memory). The film is based on the classic tale by Charles Dickens, and is considered one of the more close adaptations of Dickens’ story; for instance, the character of The Ghost of Christmas Present is seen aging during his visit, as was written in the story. Directed by Brian Henson, the film stars Michael Caine as Ebenezer Scrooge, and puppeteers Dave Goelz (Gonzo, Waldorf, Dr. Bunsen Honeydew), Steve Whitmire (Kermit the Frog, Rizzo the Rat, Beaker) Jerry Nelson (Robin the Frog, Statler), and Frank Oz (Miss Piggy, Fozzie Bear, Sam the Eagle). The film was a modest success, and has developed somewhat of a cult following in the years since its release. Set in 19th century London, the film begins with an introduction by Charles Dickens (played by Gonzo) with his friend Rizzo the Rat, selling apples. Although Rizzo doesn’t believe that he’s standing with Charles Dickens, Dickens sets out to prove that he is, beginning the tale. We then meet the miser Ebenezer Scrooge as he makes his way through the town. The residents of London remark how cold and cruel Scrooge is, and he responds with a simple “Humbug.” He arrives back at his business, where his employees, including his assistant, Bob Cratchit (Kermit the Frog), are hard at work. Scrooge’s nephew, Fred, arrives at the door, trying to convince his uncle to join him for Christmas dinner, but Scrooge refuses. Late that evening, Cratchit timidly asks Scrooge if the employees can ­take Christmas day off, and Scrooge reluctantly agrees, so long as they arrive all the earlier the next day. While the whole town seems to excitedly anticipate Christmas day, Scrooge arrives at home, disturbed by a vision of Jacob Marley (Statler). As he sits in front of the fire, strange things occur, startling him, until the ghosts of his former partners, Jacob and Robert Marley (Statler and Waldorf), appear. They warn him that if he doesn’t change his ways, he will end up with their fate, wrapped in the chains of their wickedness. The two tell Scrooge that he will be haunted by three spirits, and without these visits, he cannot hope to avoid their fate. He is to expect the first ghost when the bell tolls one. Scrooge doesn’t believe them, but still crawls into bed, fearful of what could happen. Sure enough, when the bell tolls one, Scrooge is visited by the Ghost of Christmas Past, who takes him back to the Christmases of his youth. They watch as year after year passes by, with Scrooge sitting all alone at his school every Christmastime. They are then taken to his apprenticeship days at Fozziwig’s Rubber Chicken Factory, with Fozziwig’s (Fozzie Bear) annual Christmas party. It is there that Scrooge meets a young woman named Belle, and falls in love with her at first sight. Despite Scrooge’s protests, the Ghost shows him the Christmas where Belle breaks off her engagement, believing him to be more in love with money than with her. The ghost then returns a depressed Scrooge to his chambers. The Spirit then takes Scrooge to the cemetery, to await the Ghost of Christmas Yet to Come. Although frightened, Scrooge declares that he is willing to learn with an open and grateful heart. They arrive on a rainy Christmas day in London, seeing a crowd of pigs discussing someone’s death, declaring that no one would go to that funeral. They then move on to a back alley trader named Old Joe, with people trading with him items from the deceased, including his bed curtains and the blankets from his bed. Although Scrooge suspects that he is the deceased in question, he claims that with his new blossoming outlook on life, this may change. He then asks to see some tenderness in the world, and is taken to Bob Cratchit’s once again. Unfortunately, at this Christmas, Tiny Tim has passed away. Scrooge is taken back to the cemetery and sees his own grave before his eyes. He pleads that he has changed, that the future can change. He then promises to keep the spirit of Christmas alive all year round, sobbing into the spirit’s robes. All of a sudden, Scrooge looks around to see that the spirits have passed, and it is Christmas morning. He then sets out to make things right, buying the prize turkey from the butcher and bringing good tidings to all, including giving to a charity he had turned down the day before. Scrooge then goes to Bob Cratchit’s house to surprise him with the turkey, presents, and the offer of a salary raise. The movie ends on a high note, with Tiny Tim living after all, and the whole town of London celebrating Christmas. Posted in Uncategorized and tagged 1990s, Christmas, Color, Feature Film, Live Action, Muppets. Bookmark the permalink. On December 9, 1931, the Mickey Mouse short film Mickey’s Orphans premiered in theaters. It was the first Disney cartoon with a Christmas theme, and was nominated for an Academy Award for Best Animated Short Film, but lost out to Disney’s Flowers and Trees. The short was directed by Burt Gillett, and stars Walt Disney as Mickey and Marcellite Garner as Minnie. A mysterious figure trudges through the snow carrying a large covered basket as the carol “Silent Night” is heard in the background. The figure stops at a window of a nearby house and sees Minnie and Mickey preparing for Christmas. The figure leaves the basket on the doorstep and departs. Pluto brings the basket inside and pulls the blanket off to reveal a multitude of orphan kittens, who proceed to explore their new surroundings. Mickey and Minnie take to the kittens, but Pluto is rather suspicious of these invaders. The kittens begin to wreak havoc on the house, pulling on Pluto’s ears and tail, and playing with the hanging light fixtures. Dismayed, Minnie suddenly comes up with an idea that Mickey and Pluto set in motion: Mickey plays Santa Clause to the kittens and Pluto plays the reindeer. The kittens are thrilled with their gifts, and parade around the house like a marching band playing a tune. Some kittens, who received saws and other tools, begin tearing the house apart. They continue to play pranks on Mickey and Pluto, until Minnie reveals the large decorated Christmas tree – which the mischievous kittens proceed to take apart. Posted in Uncategorized and tagged 1930s, Academy Award Nominated, Black and white, Christmas, Mickey Mouse. Bookmark the permalink.